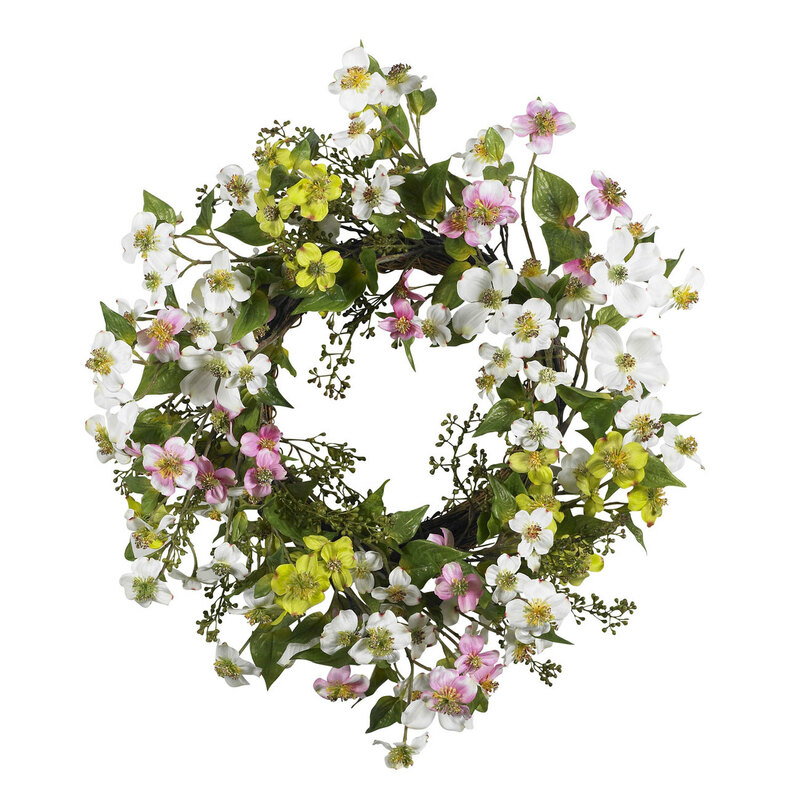 20" Dogwood Wreath Few flowers can provide the soft beauty like the dogwood. There’s just something “warm and sunny” about these magnificent flowers. 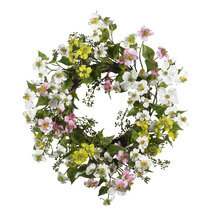 And this dogwood wreath perfectly captures that feeling. A full 20” in diameter, the whites, greens, pinks, and yellows mix hypnotically to provide a breath of fresh air that says “springtime” all year round’! Perfect for your kitchen, sunroom, or as a gift for that “sunny” person in your life. Specifications: Diameter: 20 in Shipping: Free shipping is for the continental United States only. Additional shipping costs apply for Alaska, Hawaii, Puerto Rico and international orders. We ship using UPS Ground, USPS, OR FEDEX. Please use the shipping calculator for your shipping costs. International customers must email julieannsboutique@gmail.com for shipping quotes. Shipping costs can be substantially higher. We do offer an alternative option. International customers may obtain a United States shipping address through a shipping forwarder that we have partnered with. This may save you money on the cost of shipping. If you are interested please contact us for instructions on how to sign up. Return policy: We accept returns for unused products with tags/labels intact in BRAND NEW CONDITION. Buyers must request for an RMA number and return instructions within 48 hours of receiving the product. Returns without an RMA number will not be accepted. All returns are subject to a refund minus 20% restocking fee and shipping cost.